Join Us For Bubbly Brunch!!! Submit questions via the contact form below. The hottest drag brunch In Los Angeles is now the hottest drag brunch in Palm Springs! 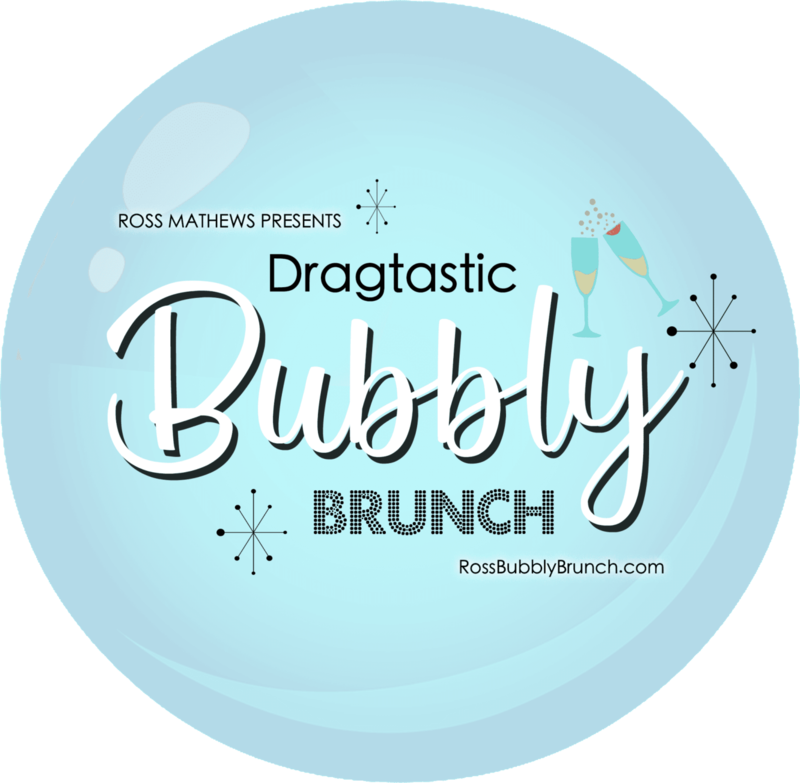 RuPaul’s Drag Race judge Ross Mathews presents the most fun, fabulous & delish drag brunch ever! 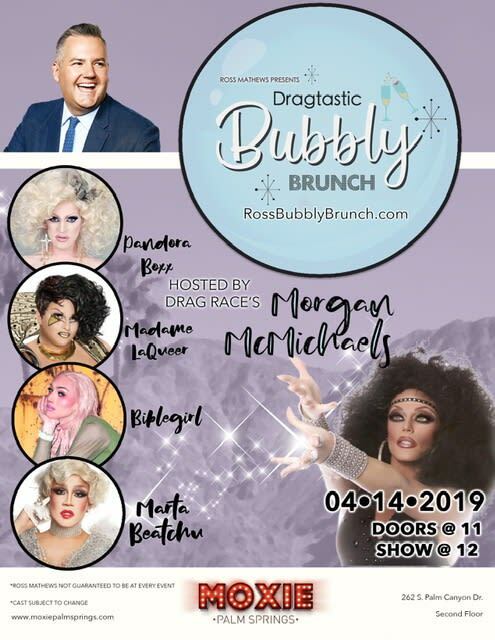 Each week, Drag Race queens and local queens blow your mind with their talents as you guzzle cocktails and chow down on the best brunch in town! Everyone is welcome and every leaves happy!